Since we launched in March 2012, over 2,500 images have been uploaded to Spacehive and 200 project descriptions drafted. From day one, we’ve been wowed by the care people have taken to create engaging, visually appealing project pages — from Stockwell’s Urban Oasis setting the standard early on, and the manga-like Glyncoch Community Centre, to the eye-popping Loop de Loop. 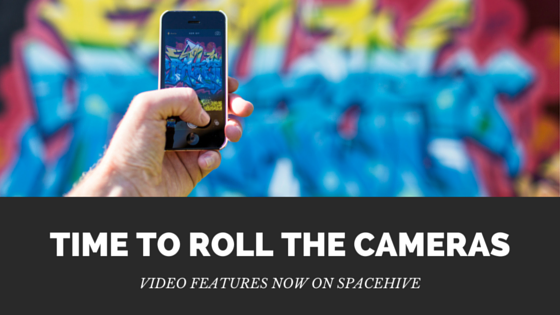 But it’s time to get the cameras rolling: video is coming to Spacehive in June! Why? Well, crowdfunding is is all about sparking up personal, honest relationships between the folks with brilliant project ideas and potential funders. And videos are by far most powerful way to capture people’s imagination and convey the emotions, motivations, and vision of a project. They’re a mark of dedication and a good predictor of success (research shows crowdfunding campaigns with videos are 20 – 30% more likely to succeed than those without). We know that making a video can be scary. Not all of us like working the camera. But it’s exactly because it takes courage and effort to make a video that funders get inspired to open their wallets – it shows you really care. Over the coming weeks we’ll be adding some handy tips on how to make simple but effective videos that capture your project vision and pull in the pledges. In the meantime, check out this early arrival for inspiration – for a project to create a rooftop park in East London. Lastly, we’re putting together a list of video makers as a resource for projects that want to hire a pro. So if video is what you do, drop us your details and a link to your portfolio at info@spacehive.com. Happy shooting!